Fact: The center of any picture should be hung at 60-65 inches from the floor- making it eye level for most people. If you're hanging an art piece above a furniture piece (a couch) the bottom of the artwork should be 8 to 10 inches from the top of the furniture. Myth: all trim must be painted white. Fact: painting a thin trim (1-2.5 inches) a bright white against a bold color (ex. deep red) can look out of place and places emphasis on the skinny trim, rather than the bold color. Consider painting the trim the same color as the wall- it'll make your room feel 10 inches taller! Myth: scattering your collectibles throughout the home will stir passion and interest. Fact: Making a large grouping of similar items will hold much more weight. Scattering various small items will make your place look too cluttered. Myth: all wood tones go together. Fact: No! I've heard it said that the rule should be a maximum of 3 varied stains and wood tones. I'm not that generous. The maximum should be 2- and used very restrictively. Wood is a beautiful substance. Consider making wood grained items a focal point, rather than a backdrop. Myth: Furnishings should be purchased to match your wall paint and accent colors. Fact: Paint should be bought to match what you already have. That chocolate brown love seat is going to be with you a lot longer than that bright orange wall paint! Myth: Painting a small room a light color will make the room feel larger. 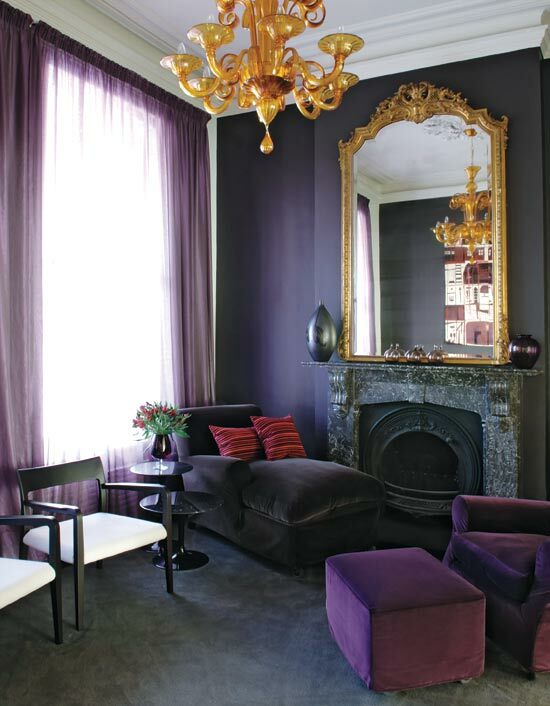 Fact: Deep luxurious colors, combined with well-thought out accents can make a room feel huge. Dark colors can hide the dark corners and shadows of a room, making it feel limitless. It all comes down to how well you use your space in relation to your room's size.